Perhaps the ultimate goal of communism, “true” communism (a classless and stateless society), is in reality also harmony with our planet. This harmony is disrupted constantly by the capitalists who only seek profit and viciously exploit the Earth.While the RCPC acknowledges the obvious fact that everyone must consume in order to live, it realizes that much planning should be involved in order to protect the Earth from those who would destroy it through capitalism. Therefore we encourage individuals and governments (until they are no longer needed) to participate in activities like recycling and to limit their consumption. A RCPC bureau of Environmental Security would be established if the party was put in power to facilitate central planning to combat threats to the environment like global warming. This bureau would consist of top scientists and elected officials that would fight to protect the Earth through powerful government policies. The only way to ensure compliance is through a centralized agency, such as our purposed bureau, working with a strong government and the support of the people. Global warming is one of the greatest problems the world is facing, without a centralized government to effectively combat it we, as workers of the world, risk our entire existence. We cannot rely on the current big business-subsidized government to do anything. Please show your support by voting for a green, RCPC candidate. We will work to protect the proletariat and our Earth! In nature, sheep are led by a benevolent shepherd. In human society, men and women must be led by a benevolent leader. But how do we determine which would-be leaders are benevolent? And how do we define benevolent? That is truly a hard question to answer and a very important one. Perhaps we can never truly know. But, by spending time in the presence of a leader and seeing his/her actions and attitudes towards others, the leader’s nature (benevolent as otherwise) should be revealed. In a truly great leader benevolence is obvious. As far as defining benevolent, it is a quality of doing good things for other people. For example, Lenin embodied the ideal of the benevolent leader who, through his actions and the Revolution, genuinely helped the workers of Russia. 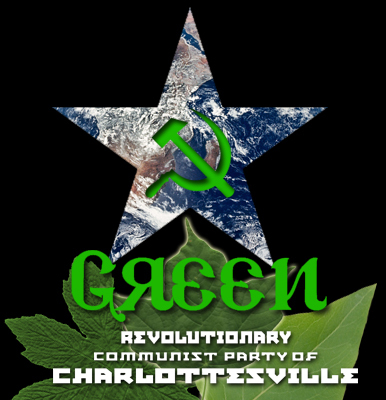 there is an actual and active socialist presence in the Charlottesville area- it is not the RCP, I don;t think you even understand what “revolutionary communist” means judging by this website. Lenin is not a model, leaders are not something we should strive for, neither should support a “vanguard party” though I don;t think you know what that means. The website does a great disservice to actual socialists and anarchists working for radical social transformation. and we would be happy to help you discover what socialism is all about.